Cops, politicians, and ordinary people are afraid of black men. 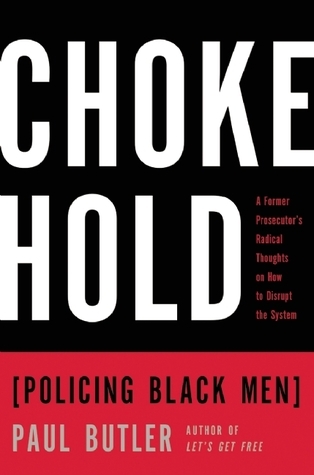 The result is the Chokehold: laws and practices that treat every African American man like a thug. In this explosive new book, an African American former federal prosecutor shows that the system is working exactly the way it’s supposed to. Black men are always under watch, and police violence is widespread—all Cops, politicians, and ordinary people are afraid of black men. The result is the Chokehold: laws and practices that treat every African American man like a thug. In this explosive new book, an African American former federal prosecutor shows that the system is working exactly the way it’s supposed to. Black men are always under watch, and police violence is widespread—all with the support of judges and politicians. In his no-holds-barred style, Butler, whose scholarship has been featured on 60 Minutes, uses new data to demonstrate that white men commit the majority of violent crime in the United States. For example, a white woman is ten times more likely to be raped by a white male acquaintance than be the victim of a violent crime perpetrated by a black man. Butler also frankly discusses the problem of black on black violence and how to keep communities safer—without relying as much on police. Chokehold powerfully demonstrates why current efforts to reform law enforcement will not create lasting change. Butler’s controversial recommendations about how to crash the system, and when it’s better for a black man to plead guilty—even if he’s innocent—are sure to be game-changers in the national debate about policing, criminal justice, and race relations.